Adjust arms 1″ to 4″ wide. No tools, mounting hardware, or drilling required. 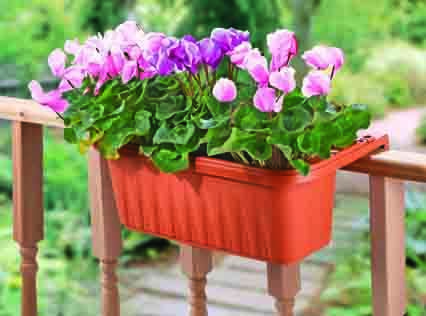 Ideal for wood, metal and vinyl railings. Hidden lower bracket keeps the planter level and locked in place. Water reservoir hold 6 cups of water, and will auto drain any excess to avoid root rot.